Yaashwin Sarawanan popularly known as Human Calculator is an Asia’s Got Talent runner up from Malaysia. He is best known for his speed mental calculations. 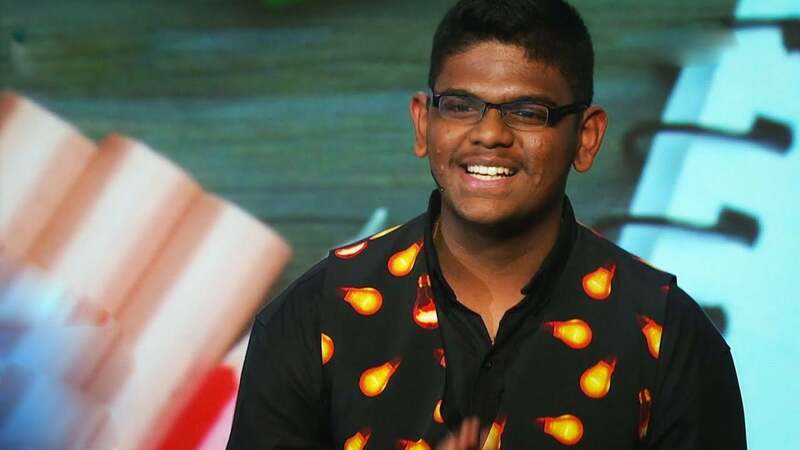 He is 15-year-old kid amazed everyone on with his amazing skills in mathematics, which he showed on the stage of “Asia’s Got Talent 2019”. Let us know about him. He was born in Kerala, India and later his family moved to Kuala Lumpur, Malaysia. His age is 15 years old (as in 2019). Sorry to say but we don’t have much information about his family, His family belonged to Kerela, India but now they are in Malaysia and Yaashwin’s family supports him a lot and also we have a photo of his family given below. Yaashwin Sarawanan birthplace is Kerela, India. Yaashwin began learning speed calculation at a very small age of 7 and after a lot of hard practices of many years, he got the title of Human Calculator. Yaashwin has won many prizes and trophies in the past. Yaashwin interest in Maths started at the age of 7 when he began attending classes and started using the abacus to learn mathematics. Eventually, as he completed all the levels, he found the classes ineffective. That’s the time when Yaashwin began his own training. Currently Yaashwin study at SMK Bandar Tun Hussein Onn (High School in Cheras, Selangor, Malaysia). Yaashwin Sarawanan believes that he was not born with the ability of speed calculation, but he trained himself and it is his 100% practice that got him there. Despite denying that he is gifted, Yaashwin practices mental arithmetic every day for only 5 to 10 minutes and sometimes he doesn’t even train. As of now, Yaashwin became so popular not only in Malaysia but also in Asia and his Speed Calculation video has been viewed more than 1.5 million plus times. He can do math more quickly than you press your calculator. These were the latest information about Yaashwin Sarawanan (Human Calculator) Wiki, Age, Bio, Family & More. As soon as we get more details, we will update this information accordingly. You may share your thoughts with us by leaving a comment below. Thank You!